Heart disease is one of the leading causes for death in the world. Patients who keep an unhealthy regimen of poor eating habits, lethargy, and smoking are more likely to develop the disease. Eat a heart-healthy diet: A heart-healthy diet is one that's low in fat, salt, cholesterol, and high in fruits, vegetables & whole grains. Watch your weight/ waistline: Maintain proper weight for your age and body type. A waist of over 36 inches in men and 32 inches in women is considered overweight. 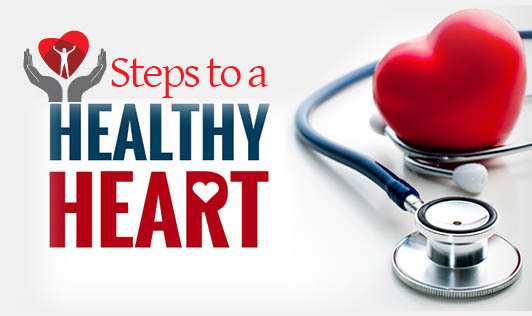 Get regular health checks: Check your blood pressure & cholesterol levels & make sure they stay normal. Normalcy reduces the risk of heart attacks, stroke & heart failure. Keep moving: 30 minutes of moderate intensity exercise daily improves heart function & strengthens it. Quit smoking: Smoking is the single most important risk factor for sudden cardiac death. Tobacco smoke contains over 4800 chemicals that damage the heart and blood vessels. Don't worry be happy: Get to know the source of your stress & learn to cope with it effectively.